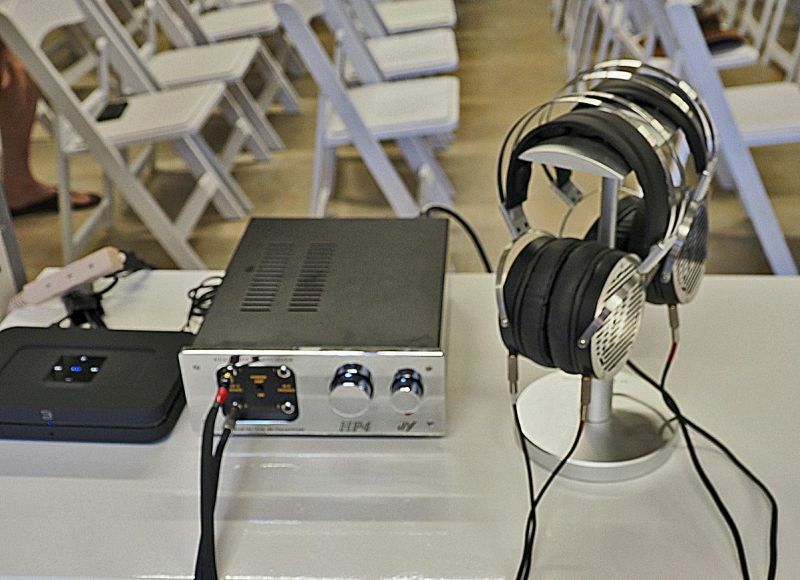 Factory reps will demonstrate Ultimate Ears for your listening pleasure. Each UE product is handcrafted, precision-tuned and custom-tailored to fit the unique contours of the ear, isolating it from any external noise. This starts with a unique digital scan or physical impression of the ear. Our experts modify the shape to improve comfort and fit for all of the key audio and electronic components where each detail is meticulously developed. The custom ear shell is printed using the latest 3D printing techniques. UE has been 3D printing since 2015 to ensure we are producing a better fitting, more accurate product. We’ll follow up with a Q&A and demo our new products the UE 6 PRO and UE LIVE. Special pricing is 20% Off and we’ll raffle a UE LIVE! Scott Walker and his team will have five demonstration rooms showing the latest and greatest in high-value, high-end audio gear. Scott Walker and his team will have five demonstration rooms showing the latest and greatest in high-value, high-end audio gear. The latest offerings from Sonus Faber (Sonetto’s), MAGICO (A3’s), Bowers & Wilkins (600/700 series) and ELAC will be playing. Also, as the newest Magnepan dealer on the West Coast, several Magnepan models will be on display and demonstrated on electronics from Constellation, ELAC Alchemy, McIntosh, VAC, Devialet, and Rogue Audio. Digital from Roon Labs and MQA will be showcased on gear from Aurender, ELAC Alchemy, MSB Technology, MyTek, and Berkeley Audio Design. Turntables from Acoustic Signature, EAT, McIntosh and Pro-ject will be on display using cartridges from Air Tight, SoundSmith, and Ortofon. As the #1 Synergistic Research dealer, all 5 rooms will be outfitted with the latest room acoustics, cabling, power conditioning and accessories by Synergistic Research. Audio racks from Artesania and Solid Tech will be on display in all five rooms. The newest Sony OLED UHD TVs will be showing. Headphones from HIFI Man, Focal, Sony, and Audeze will be available for audition. Complete systems will range from $2,500 to $30,000. Presenters from Sonus Faber, McIntosh, Aurender, MSB, Sony, and Constellation to be announced. Bob Donnelly, renown record collector and Executive Producer, Impex Records, will be at Scott Walker’s for this meeting only. 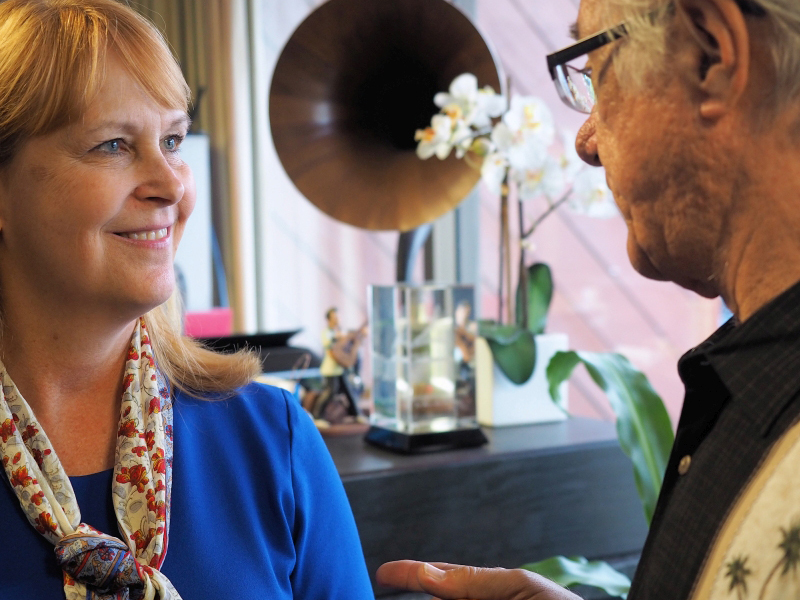 He will personally present a table full of recordings from his personal collection. All are for sale cash only. Among them are classic recordings not seen elsewhere. Don’t miss this opportunity to add fine recordings to your collection. A delicious lunch will be served. Parking is ample and free. Guests, visitors and members alike are invited. For more information call LAOCAS president Bob Levi at (714) 281-5850. A special event format has been designed for members of the society who wish to reserve a guaranteed seat for their listening pleasure. 14 reserved seats will be available on the hour for 45 minutes beginning at 10 AM and running through 3 PM. Email oz@highendbyoz.com to make your reservation but no reservation is required to attend! 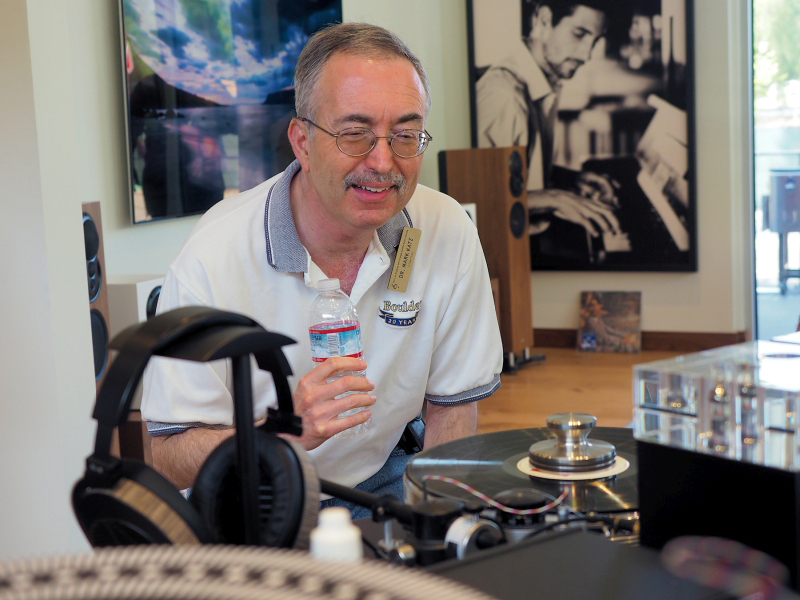 Our host, Oz Turan, will be on hand to demo Audio Solutions Figaro speakers. Figaro L Speakers are new to the US market and High End by Oz is the distributor for the United States. Electronics will be Vitus Audio and cables will be Ansuz Acoustics. 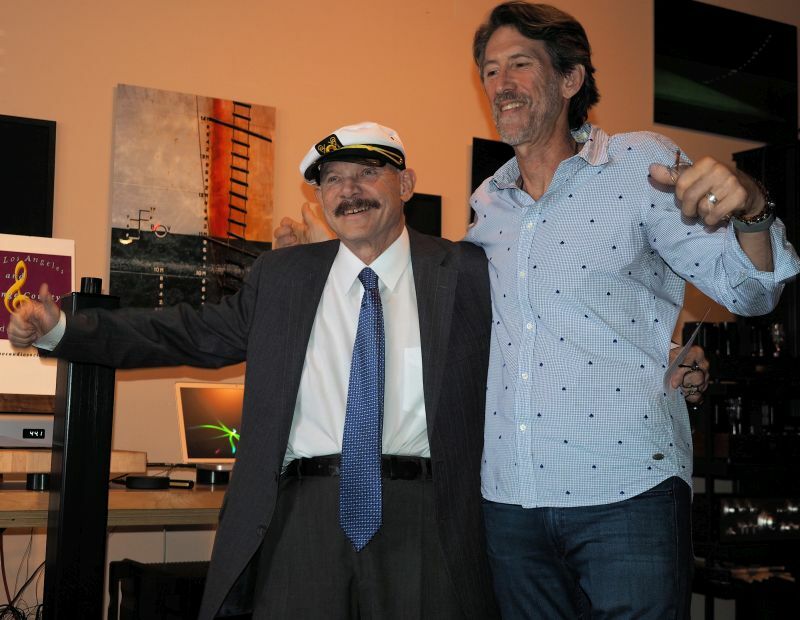 In his audio studio, High End by Oz will offer over 800 selected vinyl records for sale. There will be a 25% discount on LPs that day. There are over 300 titles of mostly out of print box sets and extremely rare prints, including those by Melodiya of Russia. There are lots of factory-sealed box sets. Special food and drink will be provided. Parking is available and free or paid in the neighborhood. Seating is limited and attendees should Email Oz (Oz@highendbyoz.com) to reserve seats for the listening sessions as mentioned earlier. Guests, visitors and members are invited. For more information call LAOCAS president Bob Levi at 1-(714) 281-5850. 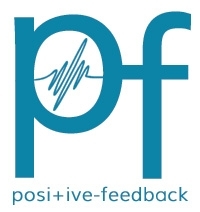 Our hosts Alon Moscovitch and staff will introduce an evolutionary leap in digital audio delivery, allowing the listener quality access to “all” the world’s recorded music, while adding an extraordinary interface. With Roon, the service to be showcased, a fully databased and intuitive library interface allows the listener to explore and experience music, learn more about an artist, musicians and history, in a manner that is awesome, enlightening, and immersive. No real lover of music and its influences should miss this event. Also featured: Linn, Moon, and Steinway Lyngdorf. Eastwind Import will be on hand to offer personally-selected vinyl and CDs for sale. A raffle is planned, and lunch will be served. Parking is available and free or paid in the neighborhood. Guests, visitors and members are invited. For more information call LAOCAS president Bob Levi at 1-(714) 281-5850. Call for an appointment. 1-(310) 820-1113 Learn about and bring your equipment that needs repair. 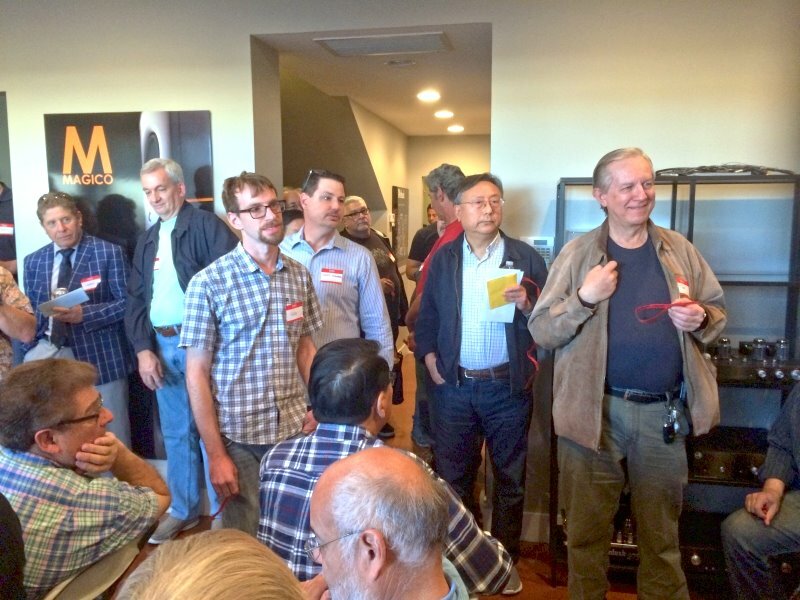 Are you ready for the Los Angeles and Orange County Audio Society meeting at Brooks Berdan, Ltd.? It’s going to be a great event that you won’t want to miss. There will be great guests, vinyl record deals, and a raffle!! Sheila Berdan and her staff will host the Society and welcome all to see and hear what’s new at Brooks Berdan this year. Guest speakers will be Chris Hagen, Principal System Engineer of Harman International Inc. and Isaac Markowitz, Performance Sales Account Manager. 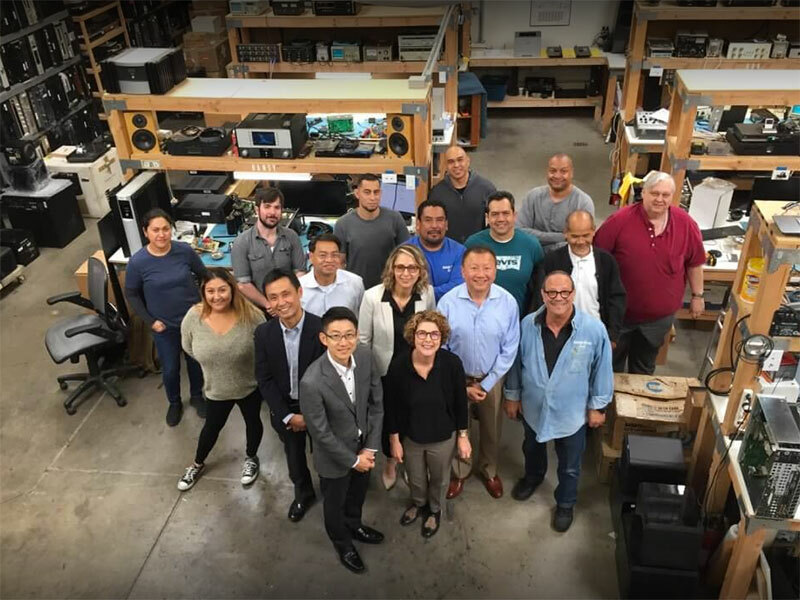 NEW at Brooks Berdan Ltd. – BURMESTER, SME, ROON, ARCAM, JL AUDIO, JBL! A raffle is planned, and dinner will be served. Free parking is nearby. Guests, visitors and new members are invited. June 8 – 9, 2019. 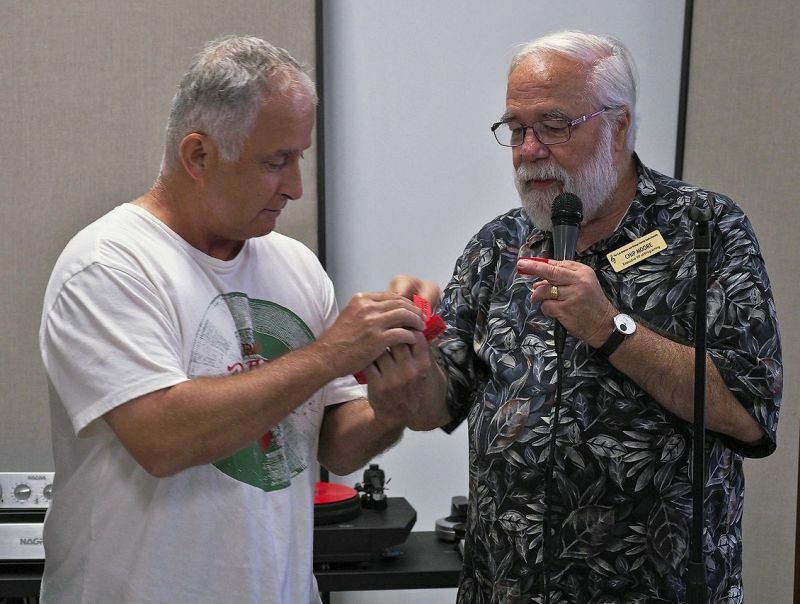 Coming to The Source A/C in Torrance, plus a special presentation of the Los Angeles and Orange County Audio Society on June 9, 2 – 5 PM! 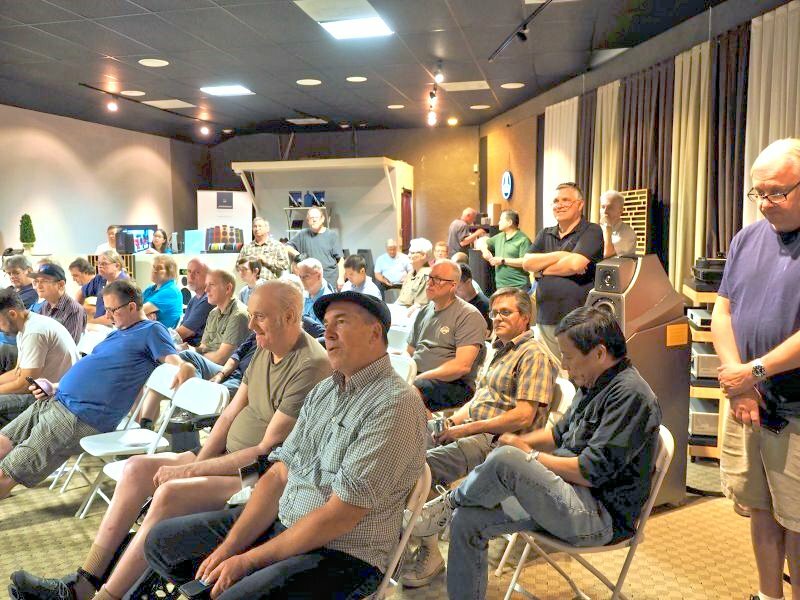 McIntosh Expo 2019: Celebrating 70 Years of McIntosh. Please save the dates. You will not believe the glorious lineup on this stunning multi-magnificent weekend! MORE SOON! The Society will sponsor CANJAM SOCAL 2019! Visit our hospitality room open to the public! Join the society in the room and receive a great gift! Featuring over 100 leading brands in over 25,000 sq ft. of exhibition space, CanJam SoCal 2019 will showcase the latest products and innovations in headphones and personal audio electronics in all price ranges – from $50 earbuds to the world’s finest headphone audio systems at $50,000. CanJam SoCal 2019 places you in the heart of Orange County. The Irvine Marriott is within miles of SoCal’s most amazing beaches, professional sporting events, and fabulous shopping. Closest to John Wayne Airport, the venue is also easily accessible from LAX, Long Beach Airport, and San Diego International Airport. CANJAM SOCAL 2019 is an official June Society Event! Not to be missed! Please go to their website for tickets. 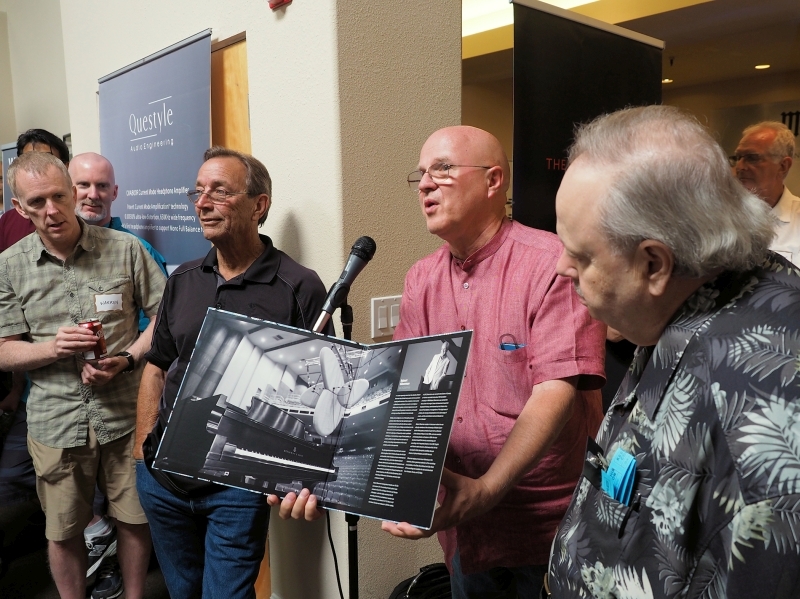 Our hosts, Wesley Katzir and staff, are proud to present DeVore Fidelity’s fantastic speakers, including the West Coast premiere of their new reference from the Orangutan line. Support for these loudspeakers will be through a fleet of electronics from Nagra, including both the HD and Classic lines, and Rogue Audio. 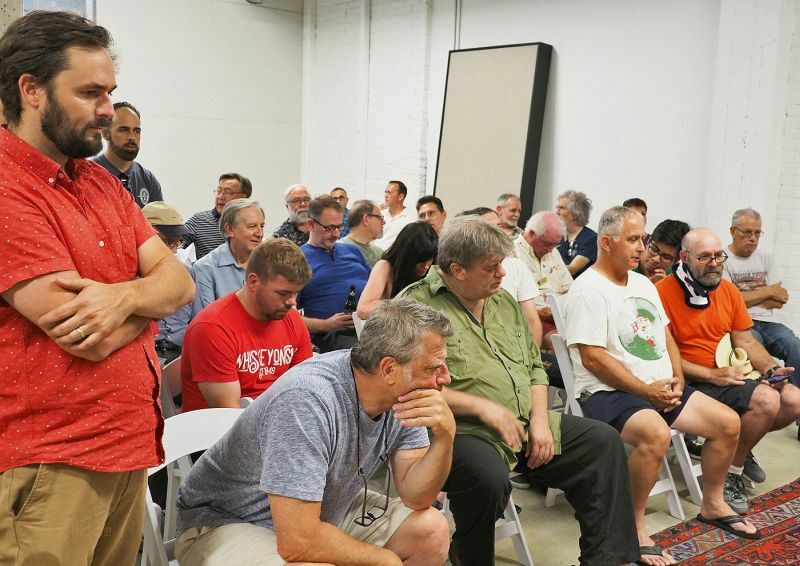 A variety of digital and analog sources will be demonstrated from Nagra, Rogue Audio, Pear Audio, Dr. Feickert, Kuzma, Soundsmith, Koetsu, and Ortofon, as well all power conditioning and cabling from Shunyata Research. Manufacturers’ representatives will be available for questions. Extraordinary raffle planned. Complimentary lunch will be served at 2 PM! Parking is available and free. Guests, visitors, and members alike are invited. 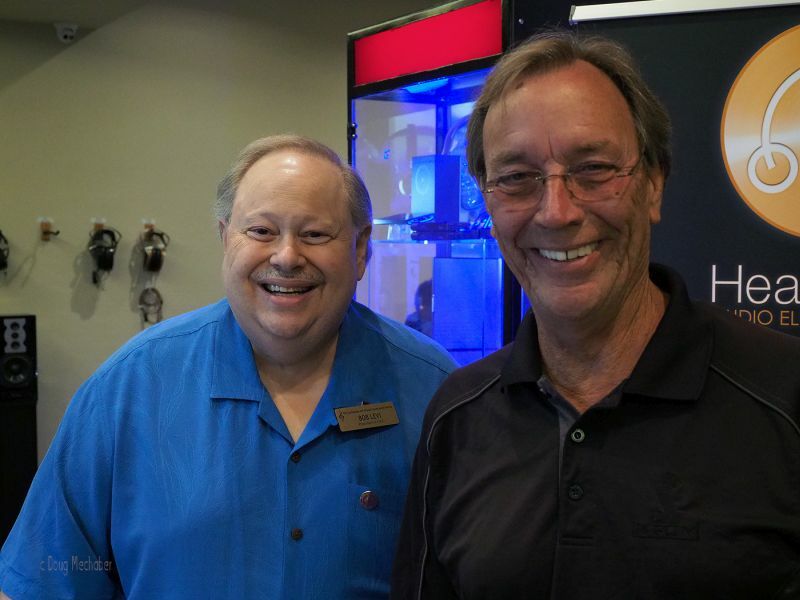 As they have many times before for the Society, our hosts, Steven and Jason Lord, will demonstrate top-of-the-line equipment in spaces custom designed to maximize your musical (and visual) enjoyment. Listen to McIntosh, MBL, Boulder, Dan D’Agostino, Vienna Acoustics, Meridian, Moon, Wadia, Pearl Evolution, Marantz, Denon, Sonus Faber, Linn, Totem Acoustics, and other fine examples of high-end equipment that will allow those attending to make comparisons and/or just enjoy the music. Eastwind Import will be on hand to offer personally selected vinyl and CDs for sale. A raffle is planned and an extraordinary lunch will be served. Free parking is nearby. Guests, visitors and new members are invited. Coming Sunday, December 8th, our 26th Annual Gala will honor Andrew Jones with the Founders Award, our highest honor! Michael Fremer will introduce Andrew. What great FUN! !